You are going to Watch Naruto Shippuden Episode 435 English subbed online free episodes with HQ / high quality. Stream Anime Naruto Shippuden Episode 435 Online English sub Jiraiya Ninja Scrolls ~The Tale of Naruto the Hero~ Order of Priorities. Tsunade continues reading Jiraiya’s novel. In it, Shikamaru advises his team not to go into the sinkhole. Teams Kakashi and Guy arrive in the village, and notice a commotion. From outside the village, Team Kurenai also notices the sinkhole. Team Jiraiya look for the children, and Nagato worries about his Rinnegan. Shikamaru explains to his team why they should prioritise meeting up with the other teams. Team Jiraiya finds an underground tunnel, and Konan finds a teddy bear belonging to the children. They head down the tunnel. Team Asuma comes across with a praying woman, who explains strangers told the villagers the village could become a battlefield, and to evacuate it, as well as telling them about the village’s protector, Mashima. 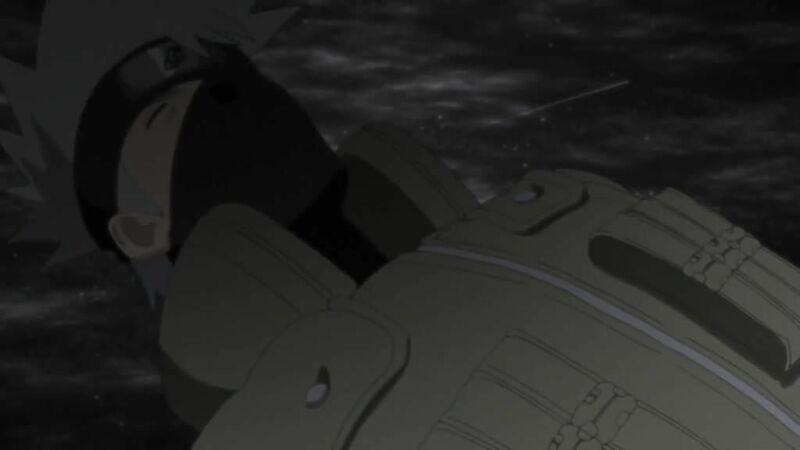 Team Jiraiya is attacked by a creature in the tunnels, but Nagato protects them. Teams Guy and Kakashi witness their team captains inside a sphere. The one responsible berates the genin for sacrificing their comrades to follow rules. Naruto and Neji jump into the sphere after the kidnapped shinobi, and the spheres disappears with them. Konan saves the two children from the creature in an underground lair. Team Asuma investigates a shrine to Mashima and find a trapdoor. During a fight, Team Jiraiya discovers there is a second creature. Chōji falls from the ceiling and saves Konan and the children, while Shikamaru immobilises one of the creatures. Teams Kakashi and Guy wonder where Naruto and Neji vanished to. Naruto and Neji wake up in a strange location, and are met by a masked individual, who Neji notices to have a Byakugan. The masked individual berates them for putting rules ahead of the lives of children, and invites Neji to discover the secrets Konohagakure has in that village. 3.3 / 5 - 70 ratings.